CHICAGO, IL -- The death of a 15-year-old boy whose body was found burned beyond recognition in a West Side alley last month was ruled a homicide Monday. The Cook County Medical Examiner's Office said he was burned alive. 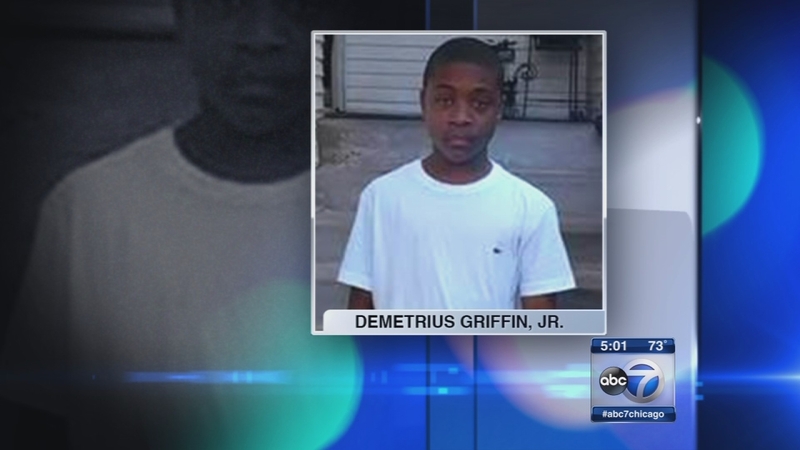 Demetrius Griffin Jr. was a freshman at Steinmetz College Prep. He was described as a gentle, respectful kid who was close to his parents, loved dogs, wanted to join his high school's swim team and always followed his curfew. When he didn't come home on the night of Sept. 16, his family knew something was wrong. Firefighters responding to a garage fire in the 5500-block of West Cortez Street in the city's Austin neighborhood discovered his body around 1:25 a.m. on Sept. 17. An autopsy showed Griffin died of thermal injuries due to incendiary fire in a garbage can, which means he was alive when the fire started. A group of Chicago pastors offered a reward of $7,500 for information leading to an arrest in Griffin's murder. Polly Sykes, the victim's mother, pleaded for answers. "Community, I need your help. They killed my baby out here in this alley. I need somebody. If you know something, please come forward. They took my life," Sykes said. Pastor Marshall Hatch, of New Mount Pilgrim Missionary Baptist Church of West Garfield, said he has known the family for more than 20 years. "He was a typical teenager. My wife was his Sunday school teacher when he was a child. He was baptized in the church," Rev. Hatch said. Griffin's death remains under investigation. No one is in custody.